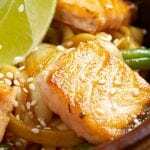 Toss the noodles with the sesame oil. Cook the mange tout in boiling water for 2 minutes. Drain then add to the noodles along with the peppers, spring onion, basil and sesame seeds. 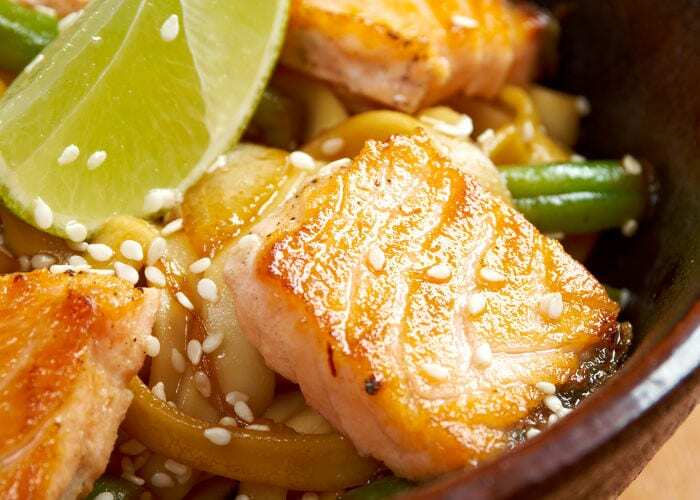 Break the salmon into pieces and gently combine with the noodles.